Self propelled trencher that will dig 24" trench that is 4" wide. Hydrostatic drive, just like the bigger models of trenchers. 620 lbs or 281 kgs., 30.5" wide, 43" high. Loads well into a pickup truck, but we do not have a trailer for this unit. 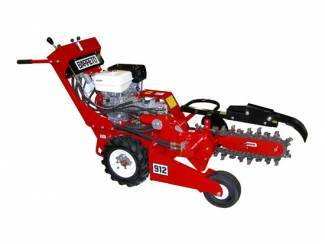 * Please call us for any questions on our 24 inch trencher rentals in Calgary, Alberta.